​Manchester United are set to rival Bayern Munich in the race to sign Chelsea winger Callum Hudson-Odoi. ​Liverpool and ​Borussia Dortmund are also said to be among the interested clubs but, according to the ​Daily Mail, it is ​United who are prepared to step up their interest in Hudson-Odoi, with the forward no closer to signing a new contract at Stamford Bridge. His current deal runs until the summer of 2020, meaning that ​Chelsea could risk losing arguably their brightest young star for a minimal fee if they do not cash in on him this summer. No further talks over fresh terms are said to have taken place since January, meaning that Chelsea must act. It is said that ​Bayern will come back in for the starlet with another £30m bid in the summer, with the player's value set to decrease as his current contract continues to run down. Chelsea are said to be reluctant to sell their brightest prospect to a domestic rival, meaning that United could struggle to convince their Premier League counterparts to do business, whilst Bayern are apparently eyeing Hudson-Odoi as Arjen Robben's successor. Hudson-Odoi was given his England debut during the 5-0 win over the Czech Republic on Friday, becoming the youngest ever player to make his Three Lions debut, and the winger's budding international career is only likely to further increase his stock in Europe. ✅ Chelsea's youngest England international. 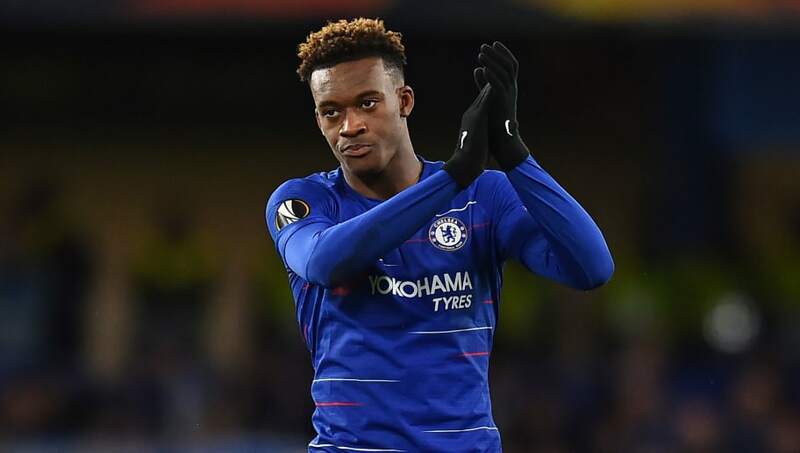 However, his future has also been cast into further doubt by Chelsea's transfer ban, as Chelsea would be unable to sign a replacement should they opt to sell Hudson-Odoi, as had previously seemed very likely. The club are appealing against the ban.